Just lovely Victorian Reverse Glass Painted & Foiled Urn full of Flowers. 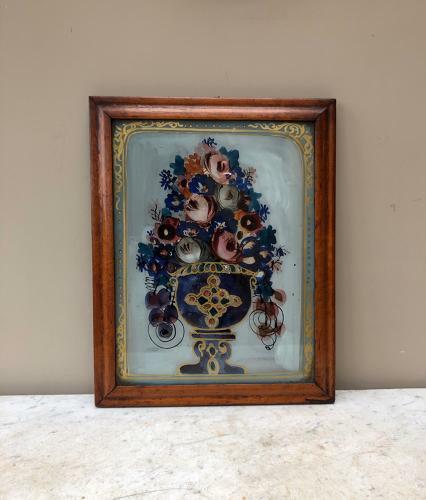 This is a genuine Victorian painting in its Original Maple Frame. Very good original condition, lovely colours with gilding and in the evening light the foil sparkles..superb by candlelight. The back is a little tatty but from the front really wonderful. I can wrap this well in a large box and send Parcel Force 48 for £15.